Naxos Music Library: UPDATE: NML App for Android Now Live! The brand spankin' new NML App for Android is now live! 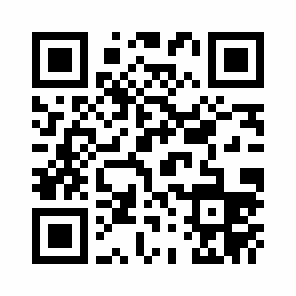 Find it on the Android Market by searching "Naxos Music Library" (or just "Naxos" if you're into brevity) or hit this QR code with your Droid. You will not need to adjust anything to use the app. Just use your normal NML login to log in to the app. anything for windows phone 7? Fantastic! This just goes to show that any predictions of the demise of public libraries are *way* off. Thank you, the app is greatly appreciated! Activate Naxos Music Library Student Playlist Login Now.". Doing so, I got a "You have successfully activated your Naxos Music Library Student Playlist account. To login, please click here" screen at http://tpl.naxosmusiclibrary.com/student/activateplaylistregistration.asp?s=... which took me to http://tpl.naxosmusiclibrary.com/login/notauthorized.asp which stated "The Internet location you are entering from is not authorized to access the NML. Please contact Naxos for assistance. ... "
I tried to login anyway both from my PC and Android App - and was successful, so I don't know what the not authorized was about but it works fine in the end. Hey there! That can sometimes happen if you're working from an off-campus location (i.e. not at the library). Looks like you managed to get registered but then were not recognized based on your library's rules. If that happens to other folks, just contact me at nmlhelp@naxosusa.com for assistance. I'll set you right in no time. Has the interface changed since January 2013 (the time of the last comment?) The create playlist option is not available for me. Perhaps this is somehow disabled in my institution? How can I figure this out? This is obviously preventing me from using the android application at all. I received your email a short time ago and am working with your institution. I will let you know once I hear back from them.